"In Raheem Sterling, Harry Kane and Jadon Sancho, Southgate has a front three capable of troubling any defence, and it's hard to imagine the Three Lions stumbling here as they did in 2011 and 2013"
Montenegro have never qualified for a major tournament, but there's a small chance that will change when Euro 2020 comes around. Not because they have a star-studded team - Stevan Jovetić is their one household name and he's out injured - but because the draw has been kind to them. In a group that is likely to be dominated by England but otherwise looks wide open, there's no reason they shouldn't be targeting a qualifying berth. They certainly made a good start to the campaign, earning a 1-1 draw in Bulgaria on Friday night. Ljubiša Tumbaković's men might even have gone home with maximum points, with the hosts only salvaging a draw from the penalty spot with eight minutes to go. Defensive grit was the name of the game in that one, and the same can be expected here; the question is whether Montenegro can make the most of counter-attacking opportunities. It's not hard to recall a time when home qualifiers were a real chore for England fans. A long schlep to Wembley for another bloodless performance... no wonder there were always so many empty seats. 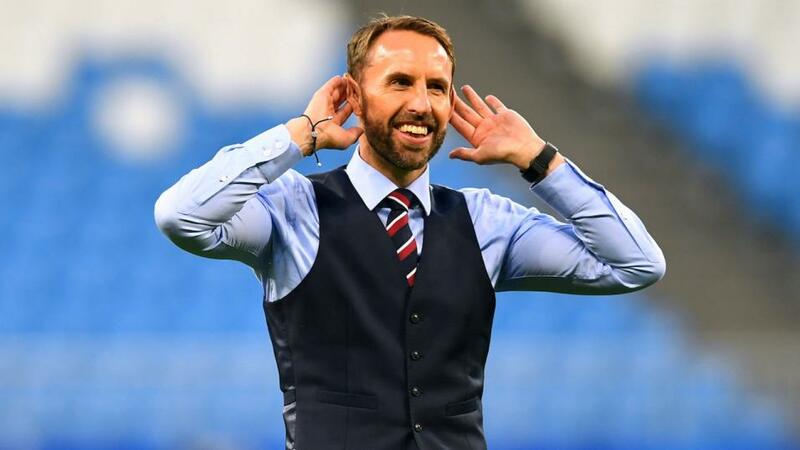 But the Gareth Southgate revolution has breathed new life into the experience, with Friday's breezy 5-0 win over the Czech Republic a case in point. The Three Lions were vastly superior, yes, but what stood out was the sheer sense of fun. This was daring, ruthless football played by (mostly) youngsters with smiles on their faces and absolutely no subtext of impending doom. Amazing what a bit of love and levity can do for a side. There will be at least one change here. Eric Dier has been ruled out after limping off against the Czechs, and Southgate has two main options to replace him: Ross Barkley, who impressed off the bench in that game, and Declan Rice, who would provide more defensive ballast. Montenegro will know that their qualification hopes will turn on games against Bulgaria, Czech Republic and Kosovo, especially in Podgorica. This match is something of a free hit, therefore, although not one we expect them to take advantage of: their only home wins since the start of 2015 have come against Lithuania, Romania, Armenia, Kazakhstan and Liechtenstein. Barring a severe downturn in form, England will be too good for their hosts here. In Raheem Sterling, Harry Kane and Jadon Sancho, Southgate has a front three capable of troubling any defence, and it's hard to imagine the Three Lions stumbling here as they did in 2011 (2-2) and 2013 (1-1). [1.42] is the price for the England win, but the gulf in class brings the Asian handicap into play: England -1.5 is available at [2.19]. Raheem Sterling has 10 goals in his last seven starts for club and country, and was utterly unplayable against the Czech Republic. The Manchester City man, who looked just the slightest bit lost in a central role during the World Cup, looks far more comfortable cutting in from wide, and looks a fine option on the To Score market at [2.72].